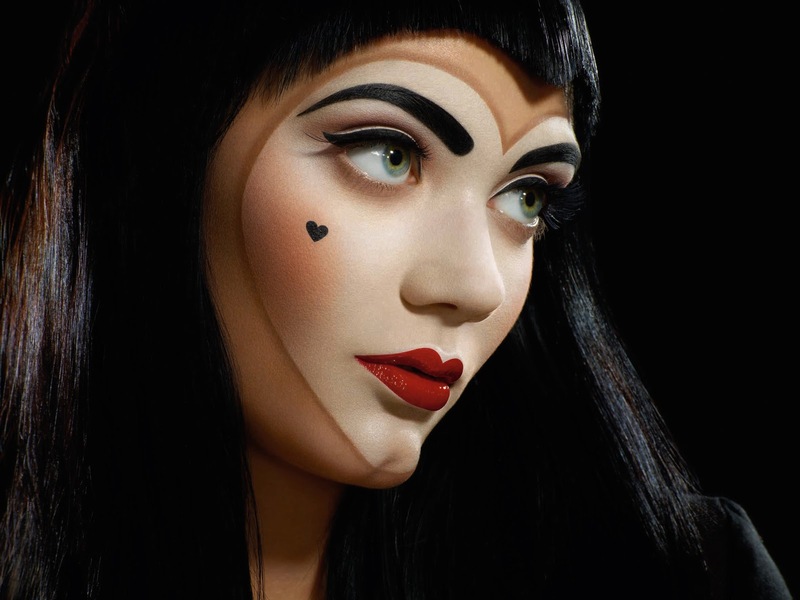 So Illamasqua have launched a new collection named ‘Throb’ for valentines day… I adore the promotional image, it’s gorgeous very ‘Queen of Hearts’. But an off white, creamy nail varnish called ‘Load’, really??…. What do you think of the Throb image and of ‘Load’ nail varnish (snigger)? Nail varnish sent as PR sample. Hahaha… I guess I have a dirty mind too! Love the image and I agree with you on the nail varnish colour. Had a similar colour turn up in my 5 colours for a tenner deal (read: bargain bin) from Nails Inc, so not sure why they’d bring this out as a seasonal one! Took me a few seconds to realise about the nail polish, then spent the next few minutes laughing to myself at the thought of asking for it at the make up counter! Dear me, I wonder if many will buy it! He he!! That does seem an odd colour choice (and name!!!). What does it look like on? Have you tried it yet? And I agree the promo pic is just gorgeous. I love the cute little heart on the cheek. Thank you for laughing at the name! I felt like I was the only one giggling at it. I don’t find that the colour suits me, but I think it would look lovely on warmer/olive skin tones. On me it just looks a bit too yellow/smokers nails. I do love the Illamasqua tounge-in-cheek approach to naming products. I can’t believe they actually called the polish… THAT name.